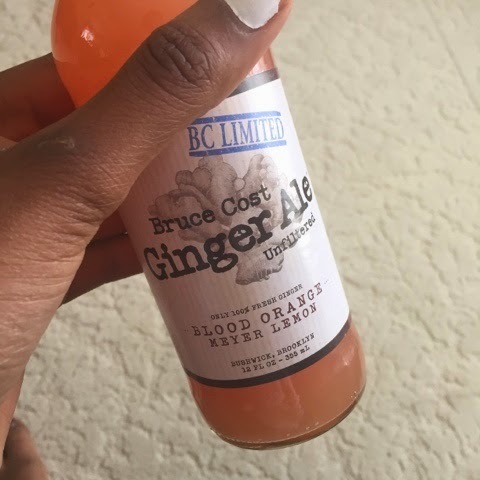 Bruce Cost Ginger Ale // I grabbed this from Whole Foods the other day along with a ton of avocado and was pleasantly surprised when I really liked the play between the spicy ginger, tart lemon and sweet orange. I highly recommend to eat with a salty sandwich or tortilla chips. NYC Spring Break // I've went to a ton off to all of my favorite places - great lunches and museums! Throughout the next two weeks, expect some reviews and recaps of all these escapades. I'm working on some city guides to feature on the blog and this is some of the basis. Stay tuned! Subways, Trains and Taxis // I have become a transit expert after this week in NYC and being in Boston. I use an app called Embark and they have them for most major American Cities. It's so easy to use and I love that you can send the directions to yourself in a text or I screenshot it while on wifi to conserve data!